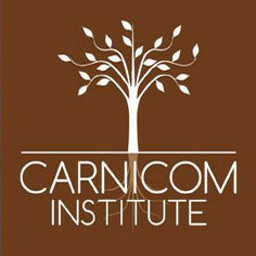 I have the responsibility to provide a certain level of detail regarding the planned research and operations for Carnicom Institute during the upcoming year. The primary issue of discussion is the balance between active research and the presentation of that same research to the public. The current situation is that the pace of research during the first half of this year has exceeded the capabilities of the Institute to present and disclose the results of that same research to the public. It is something to be grateful for that such a body of work is in place. The situation is not problematic but the lag is probably on the order of four to six months of work at this time. This dilemma will force certain decisions to be made as to what must be sacrificed with the available resources to achieve the greatest good. The immediate instinct is often to pursue the research needs in the most earnest fashion, as discoveries of some type occur on almost every day of business within this laboratory and associated work. Some of these discoveries are compelling and profound from a scientific standpoint, but the scientific methods demand that such fascinations be held in reserve until they are reliably replicated over a period of time. This is the nature of the work and this has always been the case; however, we must also not assume that infinite time for review and deliberation of our questions and discoveries remain. A recent paper produced by the Institute is an example of the type of situation that can develop. In the case of the paper entitled, “Morgellons : A Working Hypothesis – Neural, Thyroid, Liver, Oxygen, Protein and Iron Disruption” (Dec 2013), the actual basis for the work took no more than a few months to produce. The majority of even that time was not spent in producing actual data, but was spent in rejuvenating 30 year old technology along with building an education from the ground floor on the topic of infrared spectrometry and the errors associated with it. Obviously, there are more efficient means to get this data and result, especially if we are all willing to pay for it. The greatest devotion of time, however, was in the presentation of the research and in the subsequent interpretation and analysis of it. That single paper required approximately one year of time to complete and all other avenues of exploration or discovery were necessarily suspended and on hold while that writing was completed. Hopefully the benefits from the work will ultimately justify the excessive devotion to the task. The immediate situation for the Institute is that approximately four research papers are in need to be written to keep in standing for only one project. There may be others that are both capable and inclined to assist with such papers based upon the available data and understanding, but this prospect is non-existent at this time. There are many complexities and nuances to the presentation of research work that are intimately tied in with the direct experience; it is very difficult to extrapolate that experience and it may be unfair to expect otherwise. If you believe that you have such talents, depth of knowledge and self-motivation then please contact this organization; I can promise that the demands upon you will be very high. I will certainly complete these papers in due time as circumstances permit. One of the challenges in shifting to the mode of presentation and writing vs. active research is that the momentum of the discovery process is interrupted and it may end up being halted altogether. 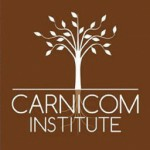 Carnicom Institute is also involved in a move of the facility from one location to another within the same town; the moving of equipment and the library takes a similar toll whether it is 100 feet or 100 miles. The benefits of the new location should easily outweigh the disruption in the interim. The lack of resources, human or otherwise, also requires the consolidation of administrative efforts to manage the essential functions of an organization. In addition, Carnicom Institute has been invited to participate in the National Freedom Health Coalition later this fall; please contact the Coalition or visit the donation page of CI if you wish to make that a reality and support that cause. 1. CDB : General Characteristics (this paper is currently in progress – estimated time of completion within two months of time once dedicated and available. 2. CDB : Growth Requirements and The Influence of Metals . This paper will detail and document the various roles of major nutrient classes, metals, transition metals and trace metals in the growth process. Minimum growth requirements will also be tested along with comparison to established and effective means of culturing that now exist. 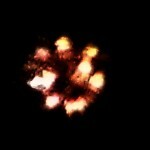 The documentation of the laboratory work for this project remains to be done. Estimated time for completion is also approximately one month once the time is dedicated and available. This work is not intended to be exhaustive but it is intended to provide an important basis and reference for culture work accomplishments that are already in place. 3. CDB : Lipids, Proteins and Endotoxins. Important work has already been accomplished that demonstrates the ability to penetrate the CDB and to extract both lipids and proteins from the life form. The methods that have been used to accomplish this are of great importance to future work to be done and it is required that the current discoveries be defined and documented. Other methods to accomplish the same result, of course, may also develop. An introduction to the benefits and applications of these separations and extractions will be made. A case for the possible existence of endotoxins within the structure will be presented and an appeal for the resources to conduct that specific research will be made. A simplified technical presentation of cellular stucture in conjunction with implications from current findings will be made.This paper is estimated to take three to four weeks to complete when the time is dedicted and available. A major topic of investigation that involves the impact and effect of electromagnetic energies upon the CDB has evolved over the past several months. A body of laboratory work does exist to support the work that is to be presented. 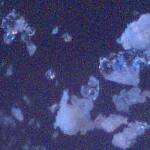 All evidence of the current work indicates strong ties and association with the electromagnetic work that has been accomplished in years past. There is no documentation of this work at this time in any fashion other than my own understanding and observations of what has taken place with my work. This topic is much more open ended and complex than those above and it is likely to be pursued over many months if the time and dedication to the project is made. The objective of the paper at this point is simply to introduce the topic and some of the more interesting and potentially profound implications from the studies that have already been made. It is a benefit to us that we are in the position to call for such papers to be written. Each of above projects are major enterprises in their own right, even with adequate resources and means (they are inadequate). It was ambitiously hoped that a small degree of finality could be offered on these topics prior to the end of the year, but that schedule is unrealistic at this time and is to be doubled on a practical basis. Some very important progress has been made this year and it is important to consolidate it. Another worthy goal is to understand the entirety of the work as it developed; it is best that we not lose sight of the encompassing environmental studies that have taken place over a period of many years. It was the outgrowth and consequence of that environmental work that has forced us to devote equal effort toward understanding the biology of change that we now all share. I am also approaching the stage of my life where certain changes in life style by both choice and circumstance will begin to manifest more prominently. This year is an especially important year for the staff of this organization to begin communicating the history and body of work that is available to all; it is an equally important year for the public to understand and assume their responsibility for improving the state of this world. The support and resources that are required to improve our state of knowledge and health are now long overdue, and this support is hardly restricted to Institute activities. Human beings are not in their rightful place unless they are able to think critically and independently, and unless they have the health that they deserve; it is also impossible to be spiritually grounded and impart goodness upon others without these. I hope that you will take your place, as you are in need. I will continue to balance these ‘conflicts’ of urgency vs. disclosure vs. resources as I have for the last decade and a half, albeit under likely different circumstances. The Institute exists solely because of your interest, participation and support; everyone on the staff of this organization is grateful for this and they are graciously assisting your cause. Please help them also. Thank you kindly, I will update and amend this statement as the call is made.